Which Homeland Security Employees Will Be Furloughed During This Government Shutdown — And Who Gets To Keep Their Jobs? Another government shutdown is looming, this time over a funding bill for the Department of Homeland Security. As you may have guessed, this latest, imminent government shutdown has to do with immigration reform and President Obama's recent executive action. The Senate is currently locked in a stalemate over the funding bill, with both parties accusing the other of blocking the bill's passage. But enough about politics — who will be on the receiving end of the government shutdown? In this case, the funding bill directly impacts the Department of Homeland Security; without it, the department will run out of money by Feb. 27 and be unable to operate. Yes, that means we, the people of America, won't have national security. Well, sort of. As the recent terrorist attacks in Paris and the cyber-attacks on a major American corporation and on the U.S. Military's Central Command remind us, the threats facing the U.S. are very real. The national security role that DHS plays, and by extension the funding that allows it to carry out its vital national security mission, is critical to ensuring that our nation is safe from harm. However, Republicans are debating whether or not a shutdown of the DHS would truly put America in harm's way. The number of furloughed employees actually support their claim. According to the Congressional Research Service, roughly 31,000 out of 240,000 Homeland Security employees were furloughed during the October 2013 government shutdown. Around the same number of employees are expected to be out of a job come midnight on Friday. Although 31,000 is a pretty substantial number, it may not matter much in the grand scheme of things. About 85 percent of the department's workforce will continue to go to work during the shutdown, because the DHS has deemed them "essential employees." These employees primarily work in sectors such as customs and immigration, border patrol, homeland security investigations, and military operations, so they're needed to protect America's overall national and cyber security. However, they won't be getting paid for being on the job during the shutdown. 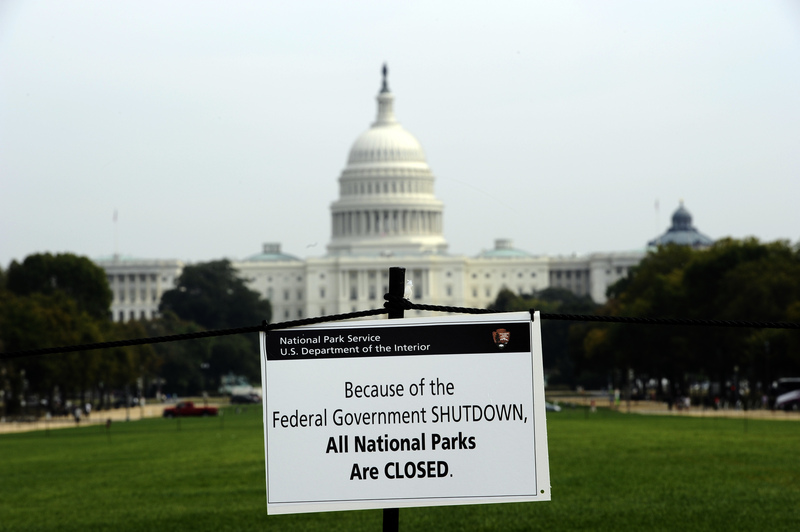 So, who will be furloughed if a shutdown occurs? According to The Washington Post, about a quarter of the furloughs in 2013 were employees in research, training or management departments. White House press secretary Josh Earnest added in a press briefing earlier this week that while a majority of DHS employees will be kept on — without pay — there are "still tens of thousands of DHS employees that aren’t" considered essential. "That's going to have an impact on the day-to-day functioning of the Department of Homeland Security," Earnest told reporters.